Born in 1966 in Täby outside of Stockholm in Sweden, Johan Söderqvist attended the Royal College of Music in Stockholm, studying composition and arranging. 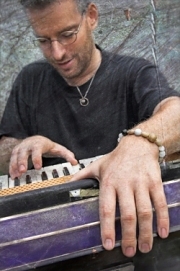 As a keyboard player in many different jazz bands and folk music groups, Johan has toured extensively around the world before concentrating his activities on composition for film, television, radio and theatre. He wrote his first film score in 1991, "Agnes Cecilia", and since then he has written numerous scores for film and television, including eight scores for films directed by the acclaimed Danish director, Susanne Bier. Among those titles are the award-winning score for "Brothers", "After the Wedding" and "Things We Lost in the Fire", where he collaborated with Academy Award-winning composer Gustavo Santaolalla. A few weeks ago the composer agreed to answer my questions. It is my pleasure to invite all readers of MuzykaFilmowa.pl to enjoy an exclusive interview with Johan Söderqvist. Łukasz Waligórski: How did it start? Why did you decide to become a composer? Did you want to score movies from the beginning? Johan Söderqvist:I've always written music. I started playing the piano at 10 and from the start, I wrote small pieces that I liked to play. So in a sense I´ve always been a writer. And no I didn´t start with filmmusic, but as a jazzmusicians. And later I played a lot of "World music" with different folkmusicians. But I’ve always written music for the bands that I have played and toured with. You’ve played piano in many different jazz bands. Does jazz experience helps in composing film music? Lately I talk to Niki Reiser, who said: "While improvising, you always have to come up with musical ideas and solutions within seconds and this helps to be open and flexible with ideas while composing music to film". What’s your opinion? I think that the fact that I come from improvised music is a crucial part of my writing, and my approach to writing music. I try to be very intuitive and go for what feels good. I also think that my experience with ethnic music has helped me a lot (for example in "After the wedding" and "Brothers" but also in many other films). When you’re scoring a movie, what comes first? Is composing for you an intellectual or emotional process? You use lots of strange and undefined sounds in your music. How do you create them, and where do you find inspiration do to this? I tend to often have a vision for where I want the music to go before I start writing on a film. And then I record and sample a lot of material in this direction. And I also think that I´m pretty good at working with sound and soundworlds, it comes very natural for me… It´s all about making sounds that has some form of "grittiness" in them. Uglyness and beauty at the same time. One of your best known work is definitely "Lat den rätte komma in" – great, emotional and very spiritual work sort of speak. Can you say us something about it, that we don't know yet? A secret maybe...? There are not many secrets about that score :) But I had a vision to find a cold and chilling but beautiful sound for the film, so I ordered a weird instrument called the bass Waterphone, and Tomas, the director was actually at my house when I got the package with the instrument. And he instantly loved the sound and the instrument – and that was a whole lot of luck – because I had never heard or played that instrument before... Later I recorded and sampled the bass Waterphone extensively, and it´s really present in most of the cues – adding a form of beautiful, cold, airy & scary sound to the rest of the score. Working with Tomas was absolutely great! He has a very high understanding of music and he helped me a lot with the score. And how do you feel about American remake of "Let The Right One In"? Would you like to score it and maybe use different ideas for the same story or would it be too awkward? I really don´t have any feelings about remakes. I think that the original film is great and I don´t really understand why there has to be a new version so fast – but having said that, I hope it´ll be a great film and a great success. No I´m not really interested in doing the same thing twice, I think it would feel a bit awkward. With your score for the "Brødre" you won UCMF Award (Union des Compositeurs de Musiques de Films) and also nomination to the European Film Academy Award. Could you describe your approach to this movie, musical ideas and process of scoring? I came in pretty late in the process, so I didn´t have that much time to think. 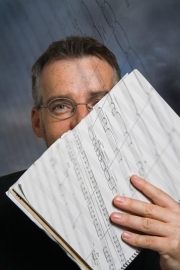 They wanted a kind of "pointelistic" approach in the music, a sparesness in the orchestration. We also recorded some ethnic musicians – because the film partly takes place in Afganistan (and also in Denmark). There isn´t so much music in the film, but it´s pretty strong & emotional where it is. We were talking about remakes - have you seen American version of "Brothers"? If so, what do you think about Newman's score, because there is opinion, that your score for the original movie sounds very much like his music, and he wrote something very opposite to his own style. I haven´t seen the American remake. I feel inspired by Thomas Newman’s approach to soundscapes and simplicity. I do think that you can hear that inspiration in some of my scores but maybe not so much in "Brothers". 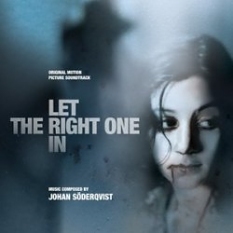 Maybe more so for instance in the simple piano theme in "Let The Right One In". You worked on seven movies with director Suzanne Bier. How did this collaboration start? Could you tell how do you communicate in terms of music? Actually, I just did my eight film with her this spring. It´s a fantastic film called "Haevnen" ("In a better world"). I usually work very close with Susanne’s longtime editor Pernille Bech-Christensen, who is my favourite editor. She has a wonderful feeling for film and sound so when we work on Susanne’s films I get a lot of input and help from her. The collaboration between Susanne, Pernille and me started with Susanne’s first film called " Freud's Leaving Home" in 1991. It was also my first film. You worked with Gustavo Santaolalla on "Things We Lost In The Fire" – what was it like, having another composer on board? How did you share work and who-wrote-what? It was really great to have the opportunity to meet and to work with such a great composer and musician! I also really enjoyed working closely with Gustavo’s longtime friend and producer Anibal Kerpel. I think that we pretty much wrote half of the score each. And we also played and worked on the other ones cues – so I think it was a great collaboration. In "Tannöd" you've used "Libera Me" as a sort of climax. Was it your idea or a director's vision? And how do you recall working on this score in general? The idea of "Libera Me" was mine, or actually I had this idea of a choir and an old latin text from the mass. Then a friend of mine (Mikael Carlsson of Moviescore Media) help us with the choir recording and also pointed out "Libera Me" text to me. 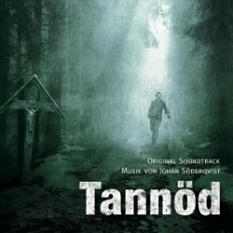 I really enjoyed working on "Tannöd", because I could create a very personal soundworld. With bowed electric guitars, choir effects, orchestra and bells and stuff. The director Bettina Oberli was very open-minded as to where the music should go. Do you like to work in US, in Hollywood or do you prefer Europe? Which one of your scores are you extremely proud of and which one (if any) you recall as a failure? I know of course the excellent work of Jan Kaczmarek and Zbigniew Preisner, and I really love the music from the old Polanski films that Krzysztof Komeda wrote. When I was young and attended the musical highschool in Stockholm I also listened a lot to Lutoslawski and Penderecki. More with my family :) No, I have always been interested in history so maybe a professor in history or an archaeologist…? What are your future plans? On which projects are your working now? Right now I´ve started on a new Norwegian film called "King of devil’s island" with director Marius Holst. And the new Susanne Bier film "In a better world" just premiered and has so far been a big box office hit its first week in Denmark. I also just finished another Norwegian film called "Limbo" made by Maria Södahl, and it´s a really great film that takes place on Trinidad in the seventies. Among the new projects that (probably) will come after "King of Devil’s island" is a 10 hour TV-series and a documentary and some pretty big Scandinavian films this coming spring. Thanks for all answers and your time! Good luck!